David, breathing hard, was anticipating that his heart would stop beating any second. He would end his life right here and now, he figured, on the big lawn in front of the dining room, on the day after the anniversary celebration to the establishment of his beloved kibbutz. Death will come to him at last. His body felt very light suddenly. It was possible that it was lifted off the ground, and was carried up on the wings of a peaceful wind. At the same time, the thundering rings of the alarm-wheel faded away, sounding more like the chime of sheep bells. It was as if he flew high above the kibbutz, its full beauty unfolding underneath him like an iridescent peacock’s tail. He landed on the summit of the mountain, flooded with a magnificent bright light, beside the memorial to his best friend: Yonatan. Yonatan was the kibbutz’s shepherd back in the old days, and David remembered clearly the day he was informed of his death. He was murdered by a gang of Arab Fedayeens, damn them all. Slaughtered like one of his lambs. 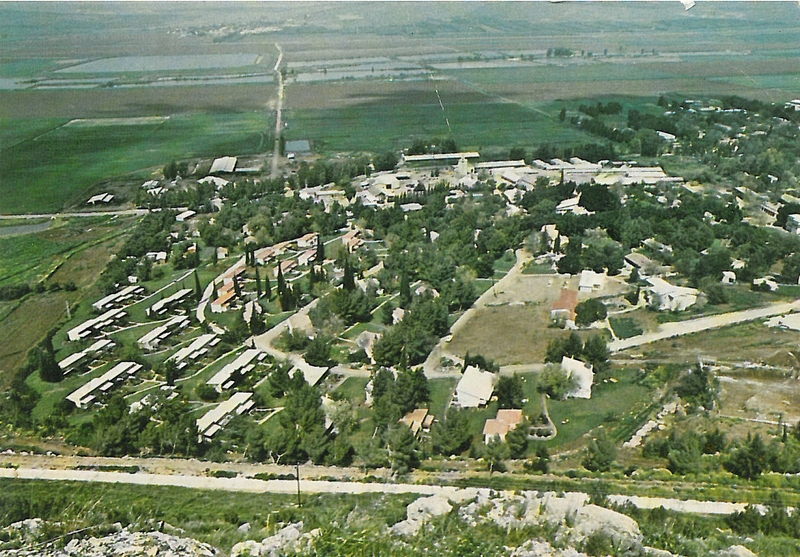 The kibbutz was in turmoil, its members in shock. The whole country, in fact, joined them in mourning. But what Yonatan would have said, had he known that first, the kibbutz had sold his cherished herd of sheep to Yusuf, the Israeli Arab lad who used to work with him; and second, that it had built a plastic factory where the sheep pen used to stand? These painful questions remained unanswered. Because the face that David discovered staring at him after he had finally come to, was not that of his old friend Yonatan—but that of his son, Gideon. He was supporting his father’s head, and was helping him into a sitting position. Beside him on the edge of the big lawn, right where David had fallen, was a bucket full of water. David no longer saw Rafi by the alarm-wheel, which was dead silent now. Gideon asked his father how he felt, and David assured him that he was feeling all right. Gideon was unconvinced, therefore took his shirt off and dipped it in the bucket, then handed it to his father. David wiped his face with it, and immediately felt even better; he felt how his breathing was calming down, while his rapid heartbeats were gaining a quiet, regular rhythm. He could hear voices shouting nearby, and some fiery explosions in the distance as well. He asked Gideon what was going on. Maybe his son did not want to alarm him. But it was strange, nonetheless, the calmness with which he had said that. It was almost surreal. So David demanded to know what the situation was, to which Gideon answered that he—David—had saved both the situation and the kibbutz. All able members were getting organized at full speed, and were rushing down to fight the fires and the invaders. Gideon wanted to help them, very much so. It was his home too, after all, even if he had left it some years ago. These words were like music to David’s ears and soul; sweet and melodic as if he were hearing Brahms’ Hungarian dances for the first time again, back in the small Hungarian village where he was born. He swore he felt strong enough, and to prove his point got up to a standing position. Somewhat dizzy, though, unsteady at first. He couldn’t see his bicycle by the olive tree, but that was all right with him; it was his contribution, he figured, to the kibbutz’s fighting efforts. He didn’t hesitate at all and sent Gideon away to join the other kibbutz members in their fight. And Gideon, after patting his father’s shoulder, ran down with his bucket of water. Not much help in that, reflected David, but the main thing was: his son’s sincere intentions. Still, he called after him to be careful—remembering well Gideon’s tendency for foolish brave acts—before he saw him disappearing behind the tall eucalyptus tree, guarding the dirt road that led down to the kibbutz’s main yard.